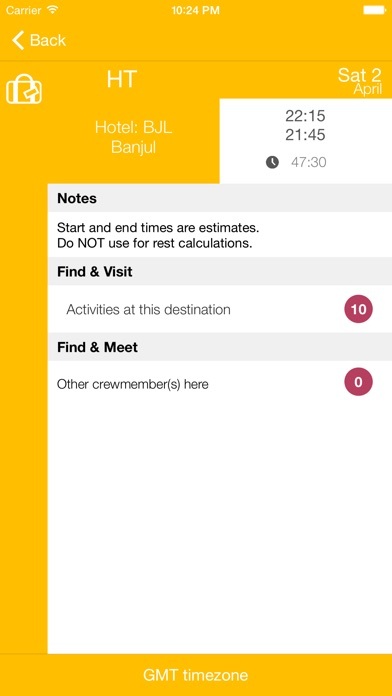 crewCONNECT is a calendar app for airline pilots and flight attendants. 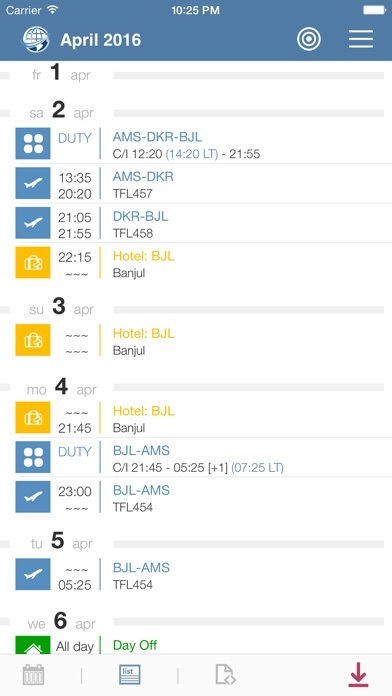 crewCONNECT retrieves your planned flight schedule straight from the airline crew web portal. No hassle with copying, pasting or uploading your roster to any website, crewCONNECT will do it all by itself, straight from your phone/tablet, with a single tap on the button ! 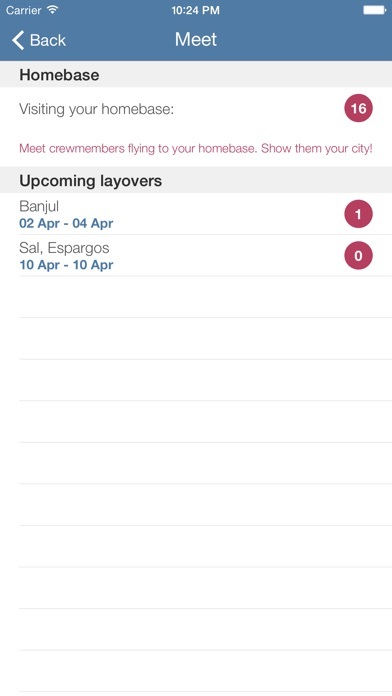 Your flights, ground duties and off-days are all listed in the app. A local copy of your original roster is stored for off-line reference. We keep several copies per month, allowing you to keep track on roster changes. Export your time schedule to any compatible Calendar and share your roster with friends and colleagues. 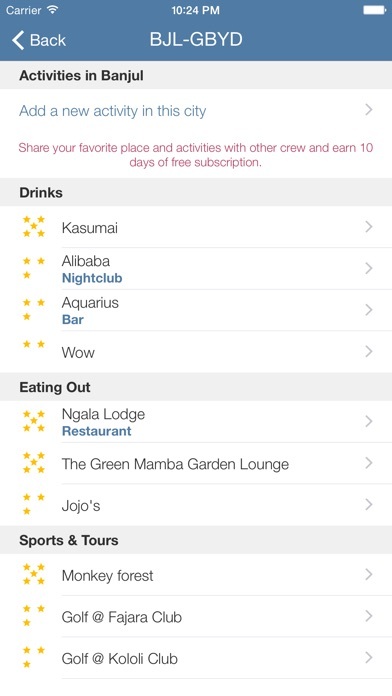 Share places to eat and sport with other crew members worldwide. Meet up with crew from other airlines during your layover in outstation. Get live weather for your destinations. Connect with maps, TripAdvisor, Wikipedia. Download crewCONNECT and take a free tour. No need to register, you can view your own roster with the free test account. Purchase a 12-months user license from inside the app (Settings - User Account) and join ten thousands of crew members around the world ! We connect to some 100 airlines today. Should your airline not be listed in the app, contact us to get it added. Important Notes : 1) This app does not support other airlines than listed in the app. We plan to add another 100 airlines in 2016. 2) Future changes to the airline websites may cause the crewCONNECT app to become incompatible. While we do every effort to update the app whenever an airline changes its web portal, successful connection cannot be guaranteed in the future. 3) Disclaimer : While every effort is done to avoid bugs, the author shall not be held responsible for any errors with the app and the results caused by these errors, such as late sign-in or no show for a company duty ! Use the app at own risk ! I use this at PSA, found it through their logbook app “mccPILOTLOG” much cheaper than Sabers own app, and it works great. I use this and mccPILOTLOG everyday. This app has made keeping track of my schedule a breeze. Once set up it’s effortless to get your schedule across multiple devices so you never miss a showtime. Must have for me, can’t do without it. Been using for a year and six months. Once had a minor issue which was likely related to the airlines aims data and the support staff got on it straight away. After that never had any issues at all. Stay away - poor support! 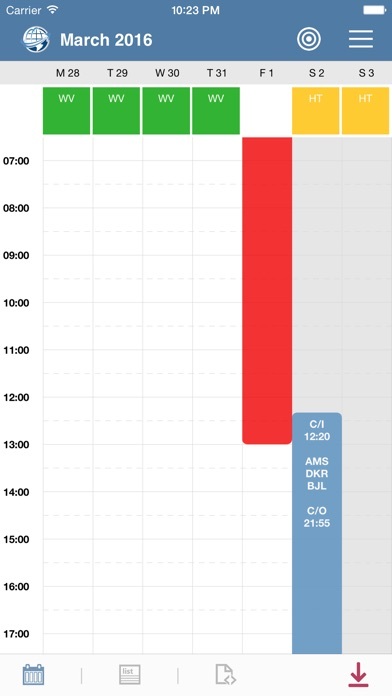 I find this app the best ever in roster/schedule management and airline connectivity. Strongly recommend to all especially aviation professionals. This app takes about 10-15 minutes to update my roster. As of late, it keeps crashing outright. I'd like a refund. It was working perfectly and suddenly it has stopped for a month now and counting.... (Update) working now.